Kia ora. My name is Jason and I am your Education Subject Librarian. 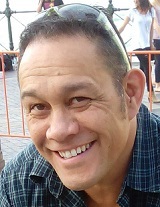 Marty is your Māori Subject Librarian. Please contact us if you need any help. This is a common style and is used by the Faculty of Education, Victoria Business School, the School of Linguistics and Applied Language Studies and other social science and science subjects. The latest style is APA 6th edition.